Gou’s massive stock buy boosting Hon Hai's shares to hike. 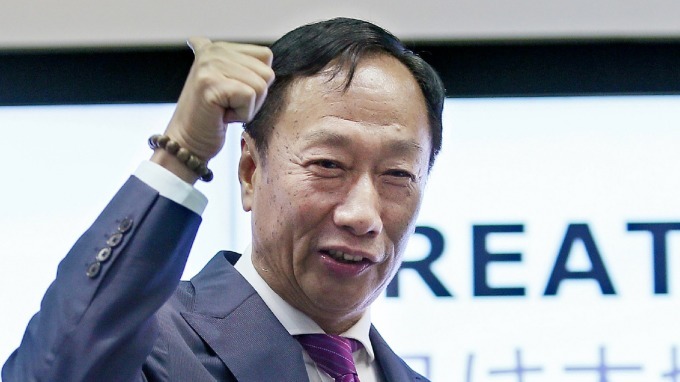 Hon Hai’s (2317-TW) chairman Terry Gou bought NTD1.8bn worth of company shares in November, boosting Hon Hai shares to hike and close at 4.09%. Hon Hai's market cap returned to NT$987bn. According to the latest announcement of TWSE 's shareholding information, Guo's shareholding in Hon Hai increased from 1,297,478 in October to 1,498,498 in November. His shareholding ratio increased by 0.2ppts to 9.55%. Market confidence in Hon Hai shares was reinforced by Gou's move. The stock price hiked and closed at 4.09%. Hon Hai's market cap returned to NT$987bn. Facing unclear US-China trade situation and weak momentum of Apple's iPhone sales, Guo still spent a lot of money to increase his stake in the company. In addition of showing confidence in its operation next year, further attention should be paid to see whether the low point of Hon Hai has arrived and the investment value reemerged. Despite of poor sales of iPhone and the news of Apple's production orders’ cutting in November, its NOV18 revenue still reached NTD601.441bn (+5.59% YoY, 1.99% MoM), setting yearly record high and a second monthly high. Hon Hai’s accumulated JAN18-NOV18 revenue was NTD4.68tn (+16% YoY), hit another new high.